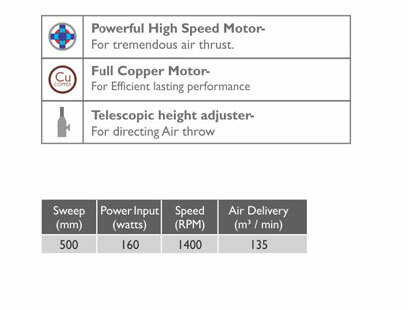 Marc 500 MM Farata II is a heavy duty fan. It has Heavy duty motor and aerodynamic blades that generates high air thrust. It produces minimum noise and vibration free operation. It has 3-Speed rotary switch control and possess powder coated finish.